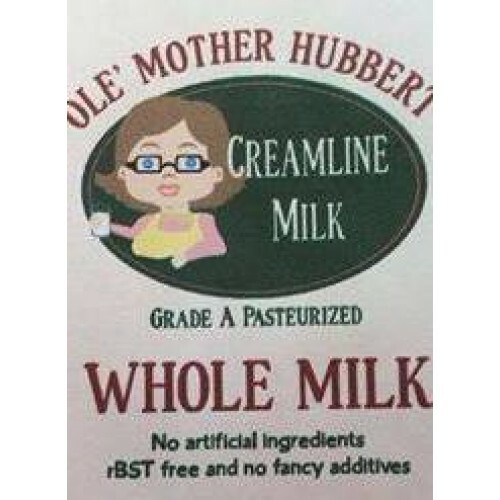 Ole' Mother Hubbert Cream Line Dairy Products are produced locally at Back to the Future Farm, from a small herd of GRASS FED Jersey Cows, owned and operated by Rose, Lee and Joshua Hubbert. 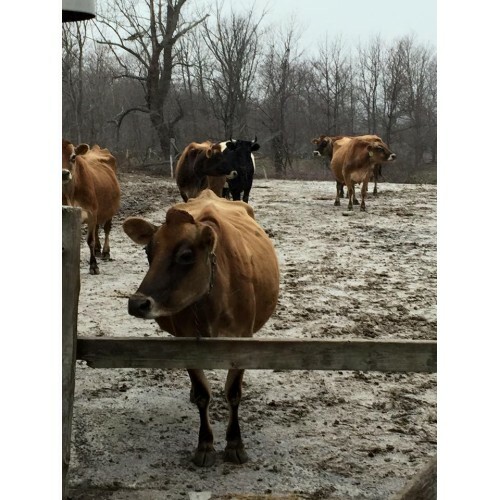 We pledge to our customers and to our bovine beauties that we will NEVER use Hormones or Antibiotics. Our milk is NON-HOMOGENIZED which allows the cream to separate and rise to the top, providing you with a healthy product that tasted great just like the Ole' Fashion Way. Our milk is pasteurized at the least amount of time and temperature allowed by LAW. We heat our milk to 161 degrees for 15 seconds and cool quickly. We hand label and bottle each and every product right here on our farm. 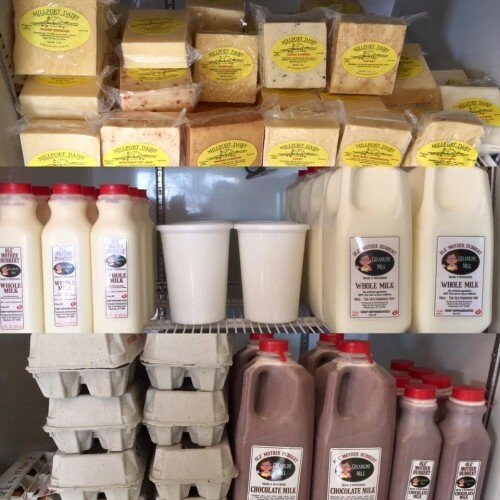 We don't purchase milk from any other farm nor do we ship milk off the farm to a creamery. Our girls are not a number here they are part of the family. Each and everyone has a name. 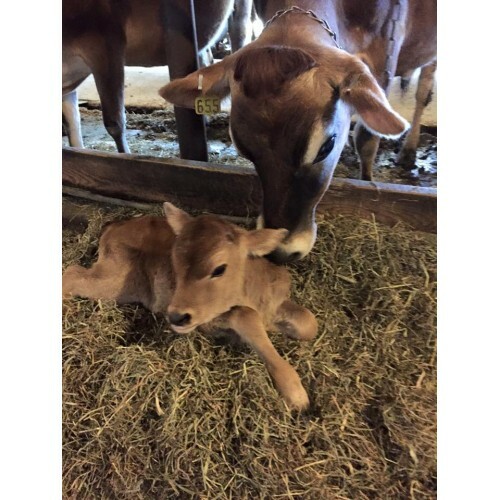 Each and everyone are loved every single day.It's not about milk production; it's about bringing small farms back to life that can be sustainable and keeping it simple. 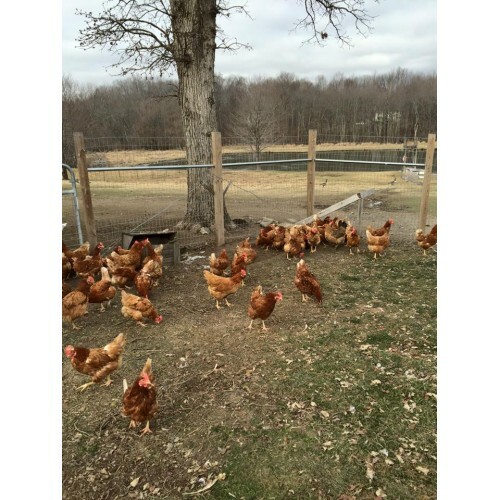 Our Fresh Meat Chickens and Egg layers are pastured and free range. Thank you for your support of Local Agriculture. We hope you enjoy our product. And don't forget to shake well. Products: Farm Fresh Creamline Milk, non-homogenized from grass-fed Jersey Cows. Pasture-raised Meat Chickens. Free-range Chickens for brown eggs. Yogurt.